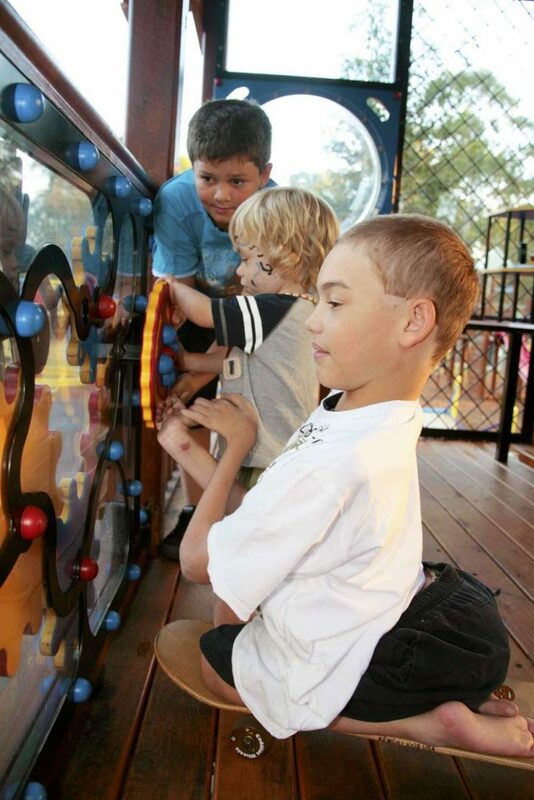 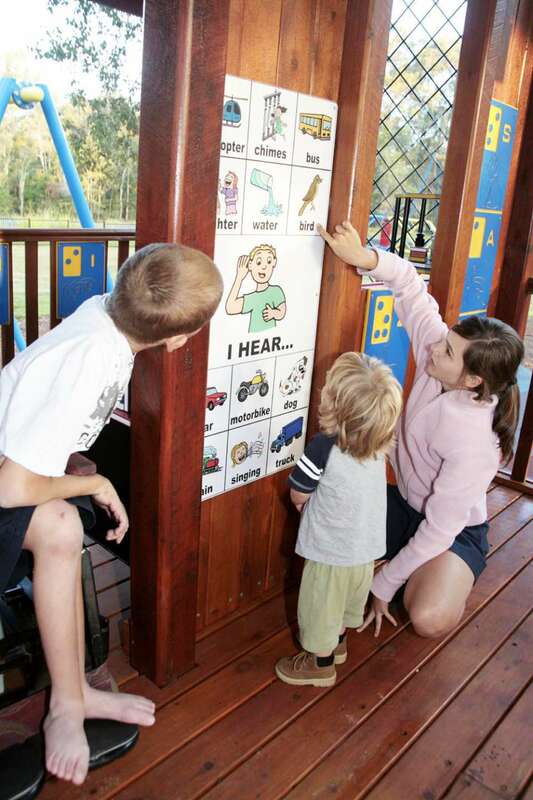 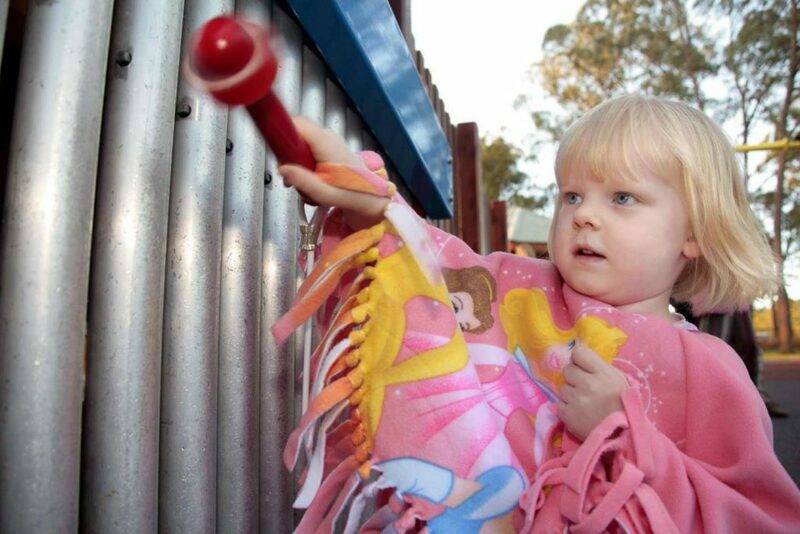 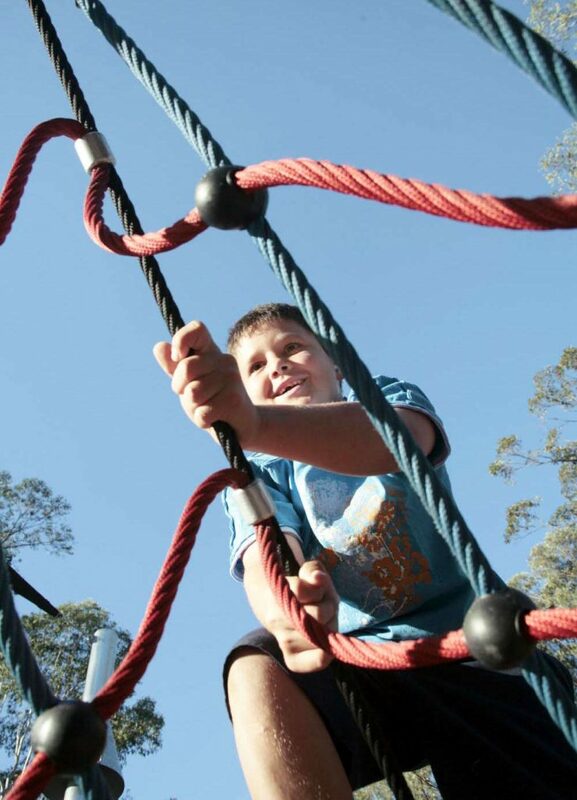 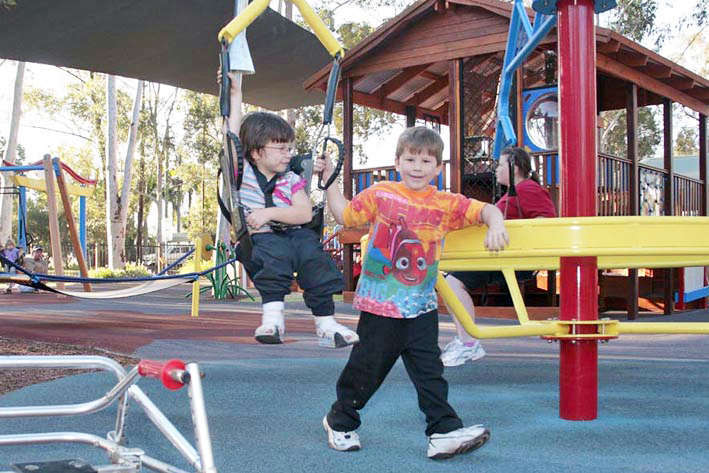 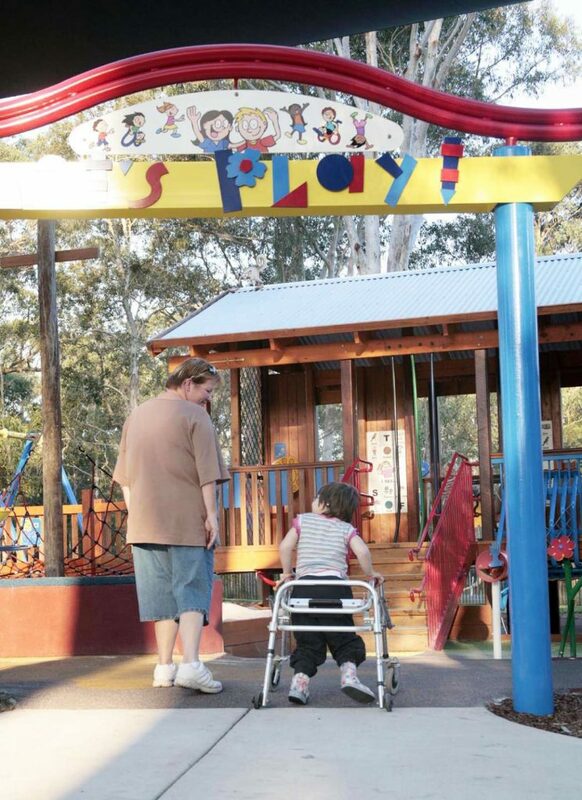 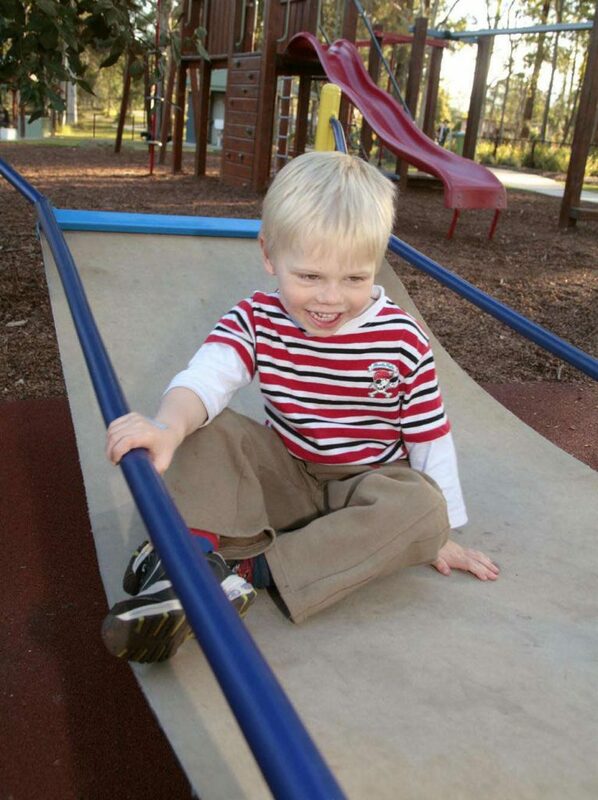 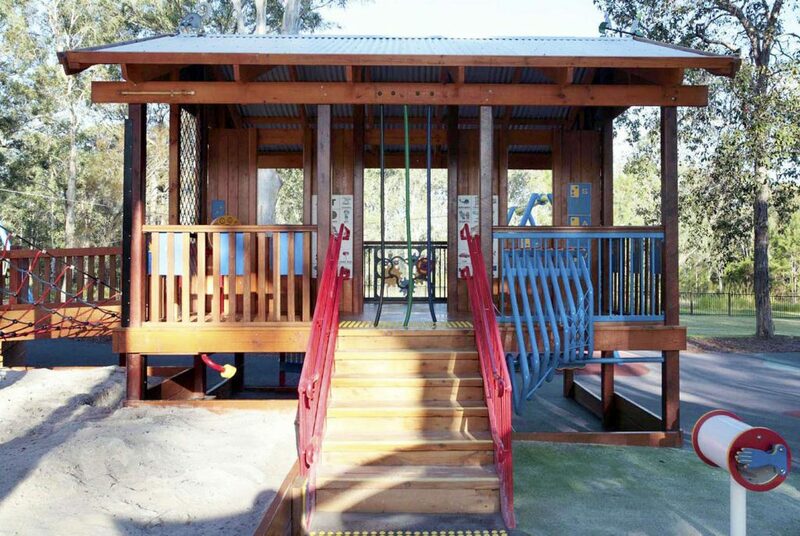 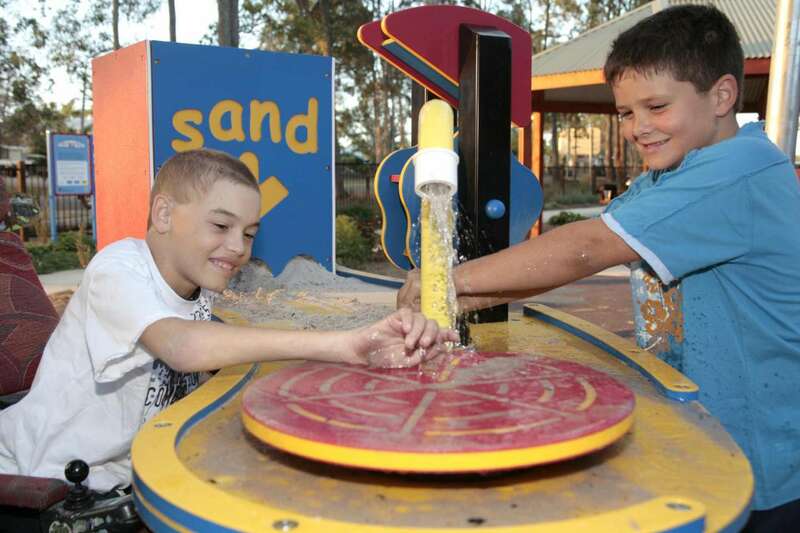 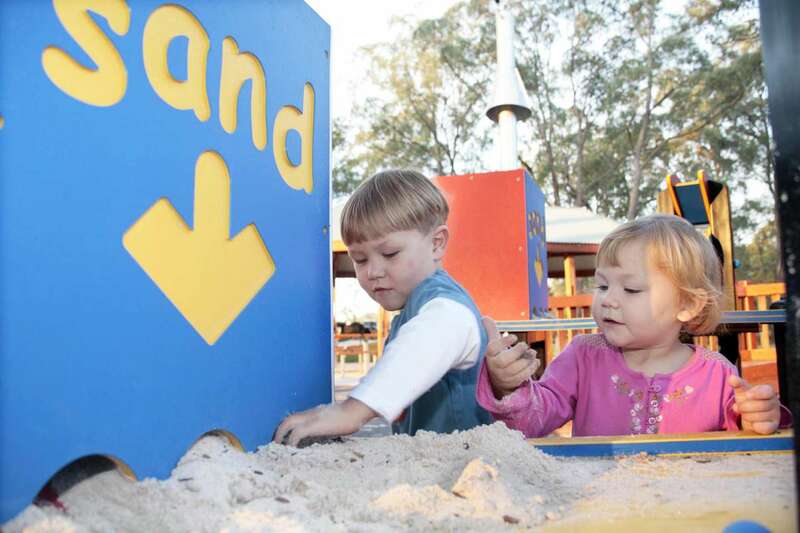 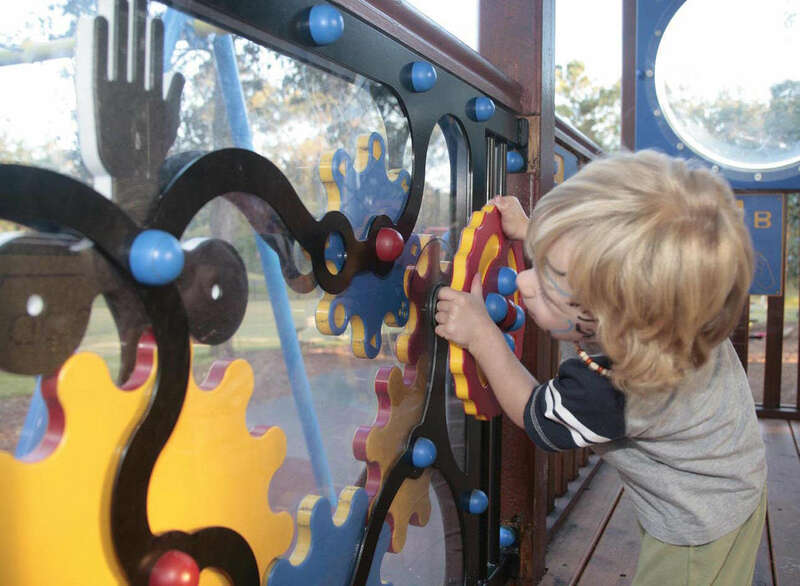 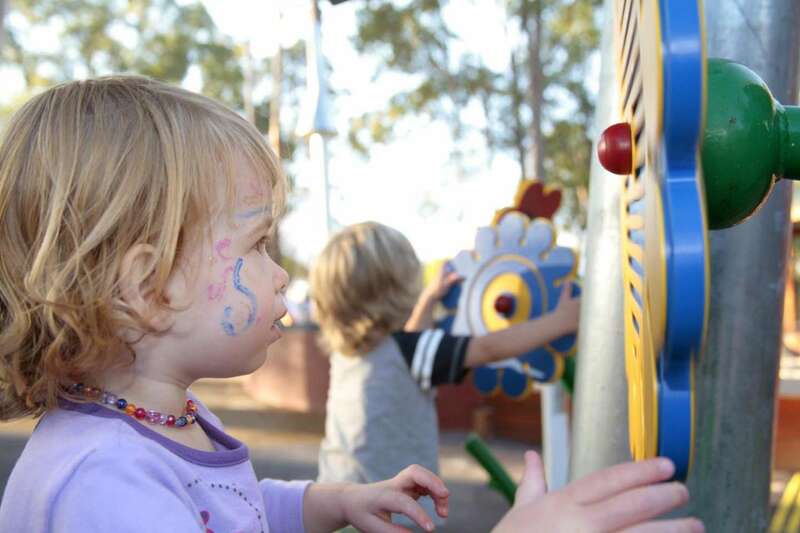 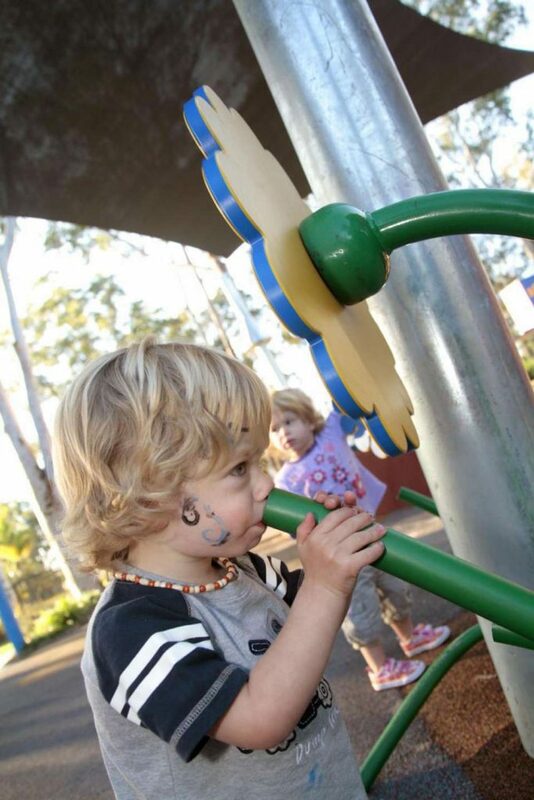 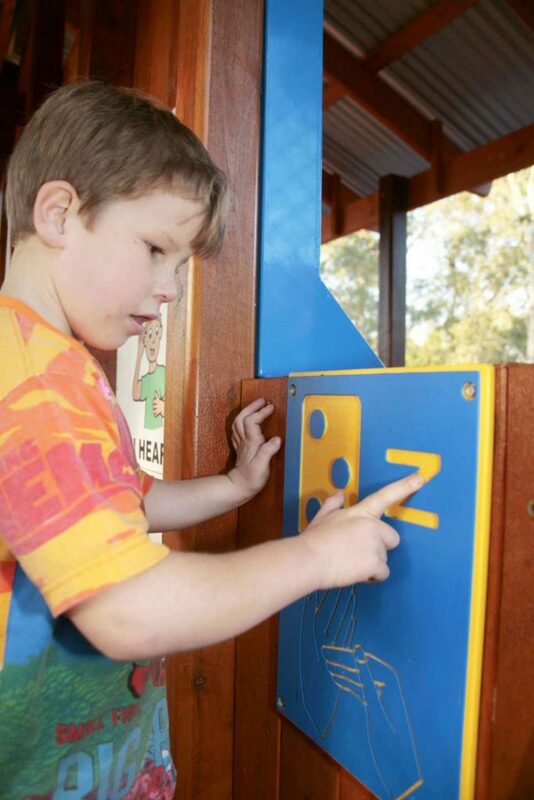 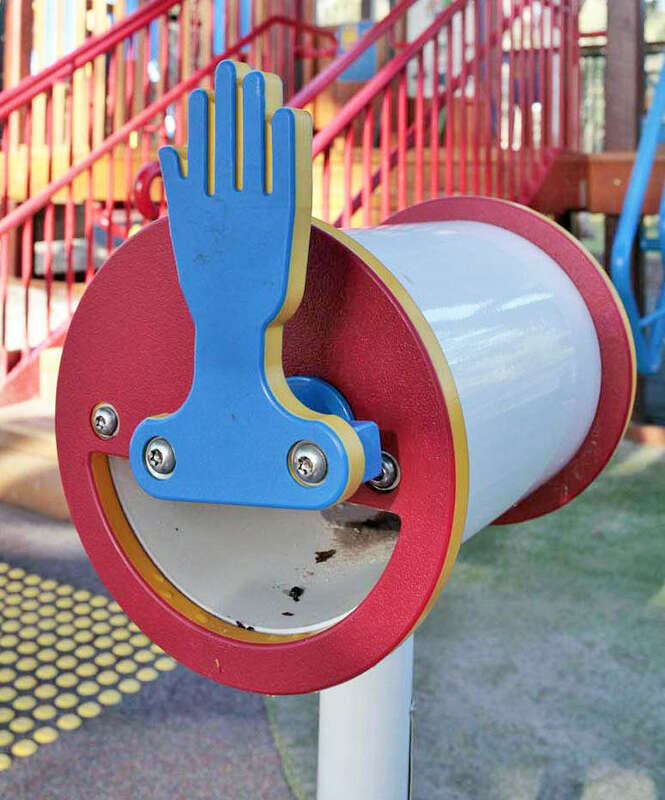 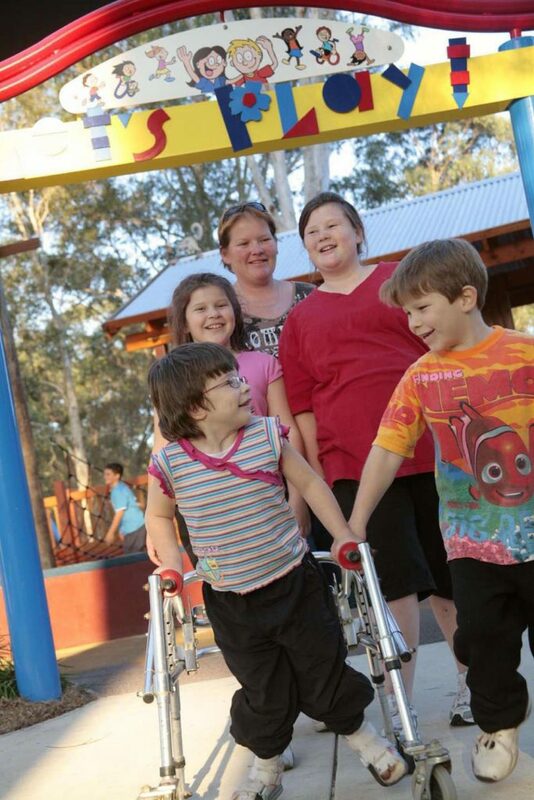 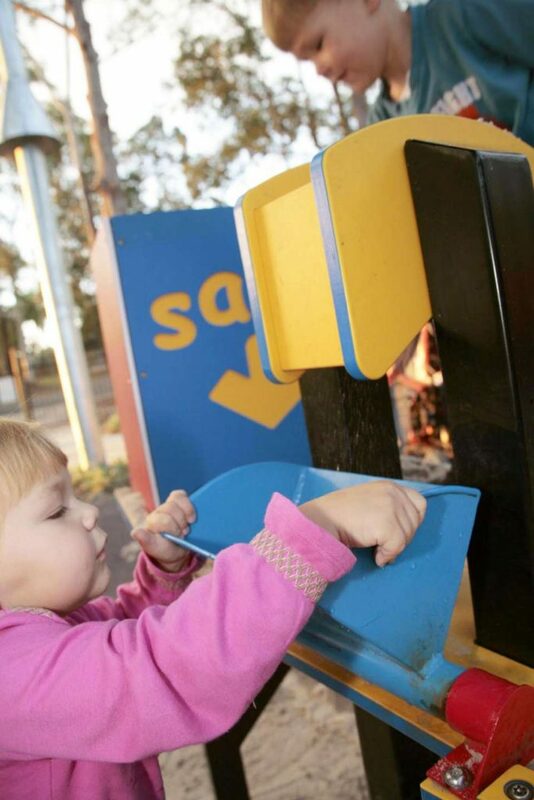 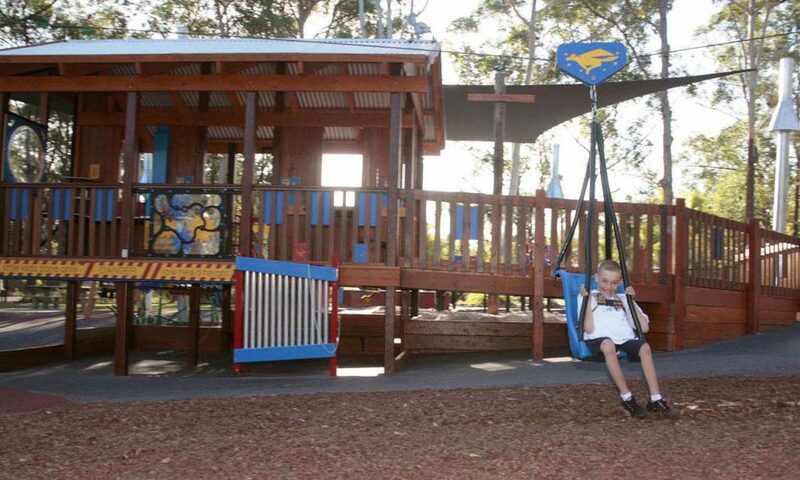 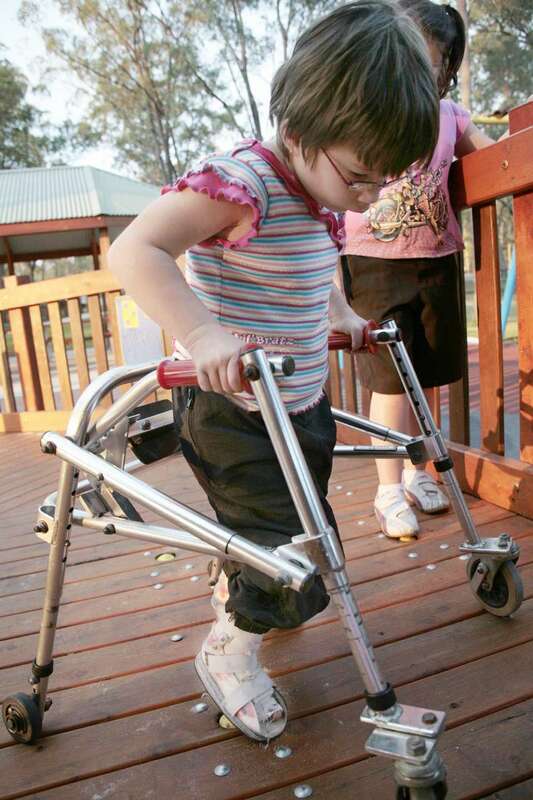 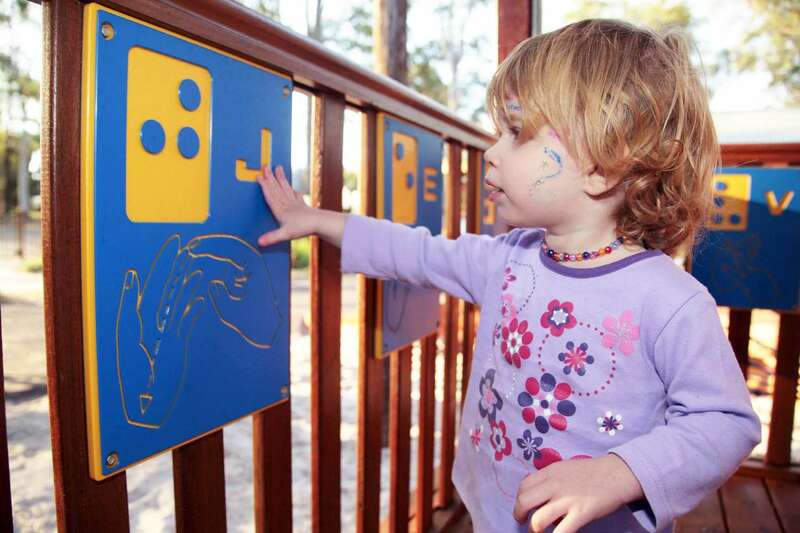 Pioneer Park was the Sunshine Coast’s first ever purpose-built all abilities playground: a joint initiative between Department of Communities, Child Safety & Disability Services and Caloundra City Council. 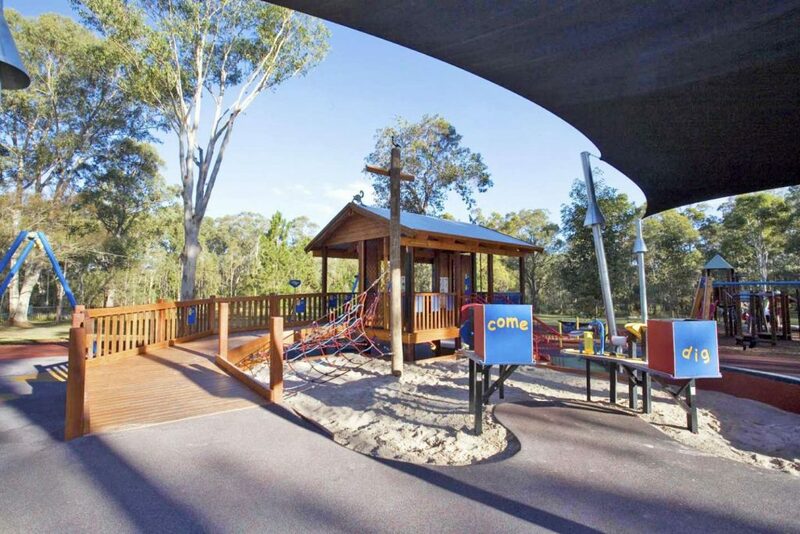 The aim of the Pioneer Park project was to build a family recreation area that ensures children of all abilities have equal access to play facilities, whilst still providing a safe and challenging play experience. 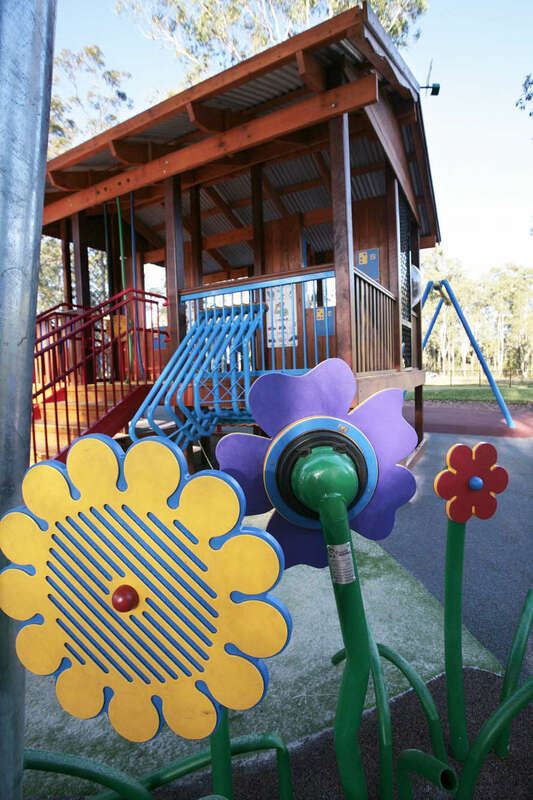 The Historical background of the Landsborough township formed part of the overall theme. It was important to use construction materials such as timber that were appropriate to the character of the town and integrated with the natural bush-land setting. 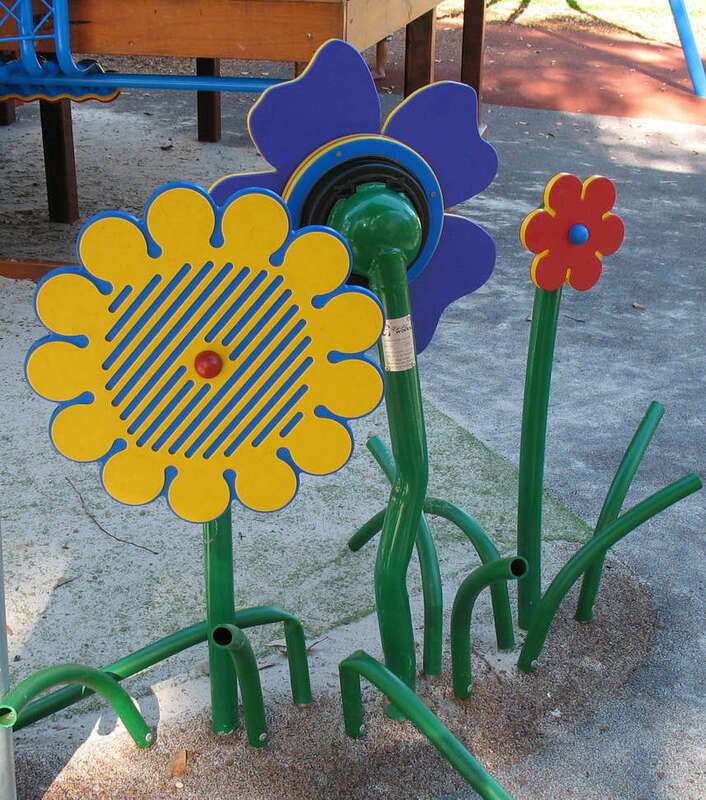 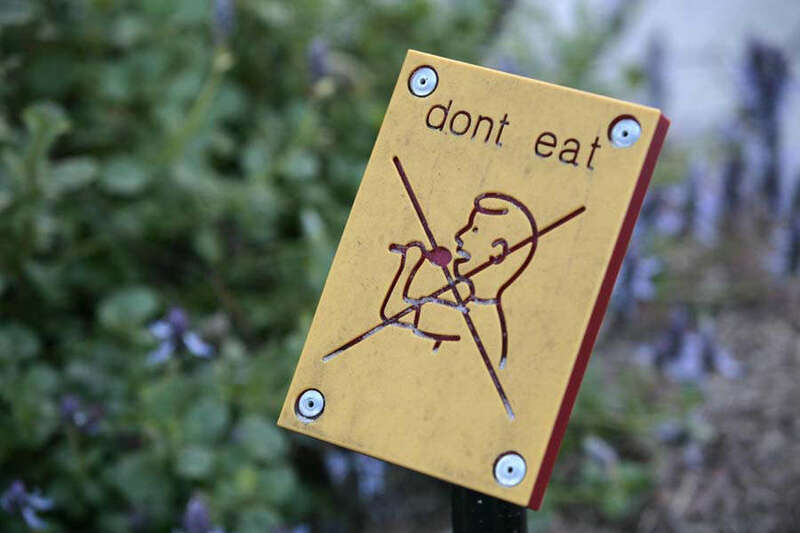 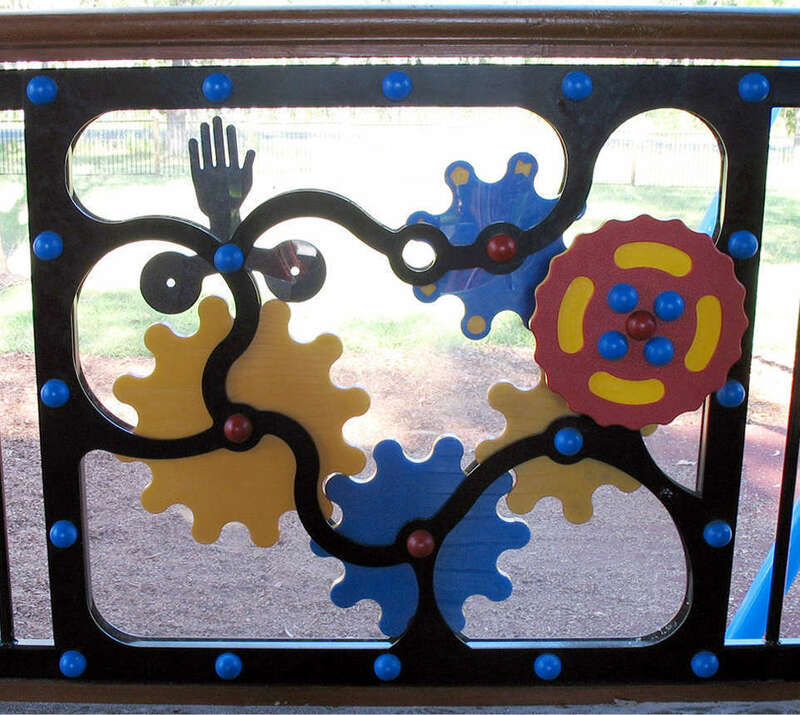 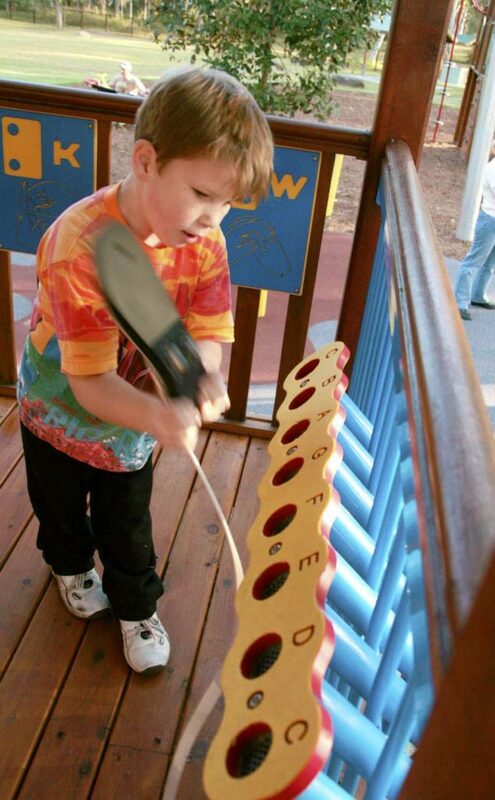 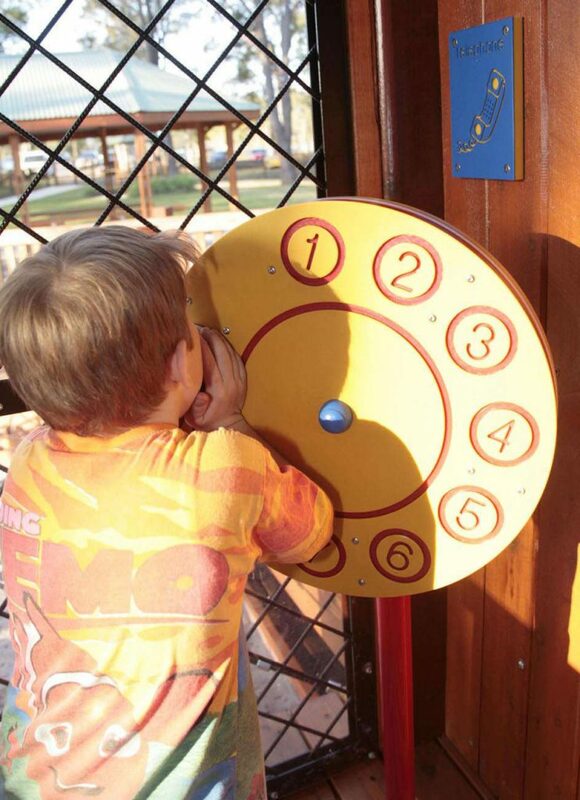 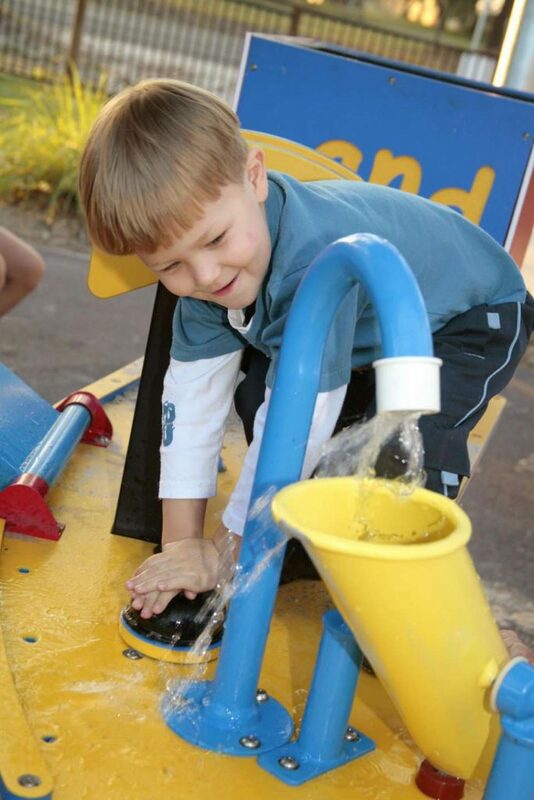 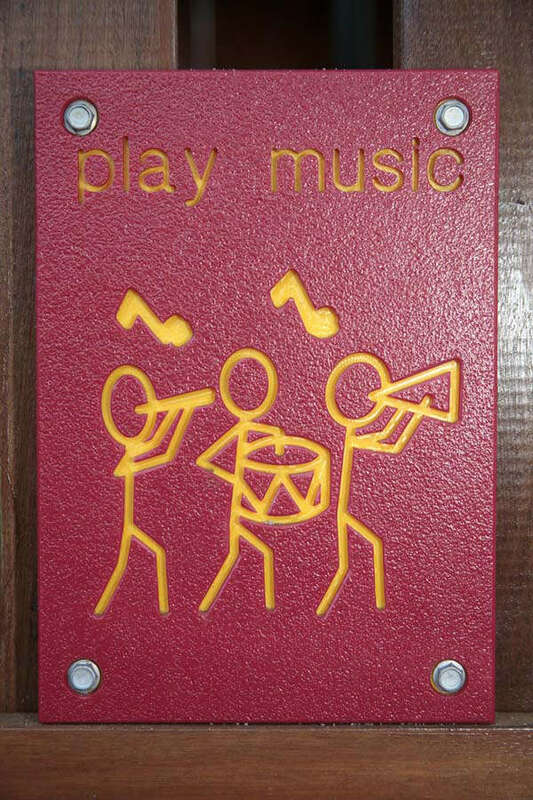 Whilst the overall theme of the playground was of the pioneer history, the elements were also designed in a way to enable children to engage in imaginative play. 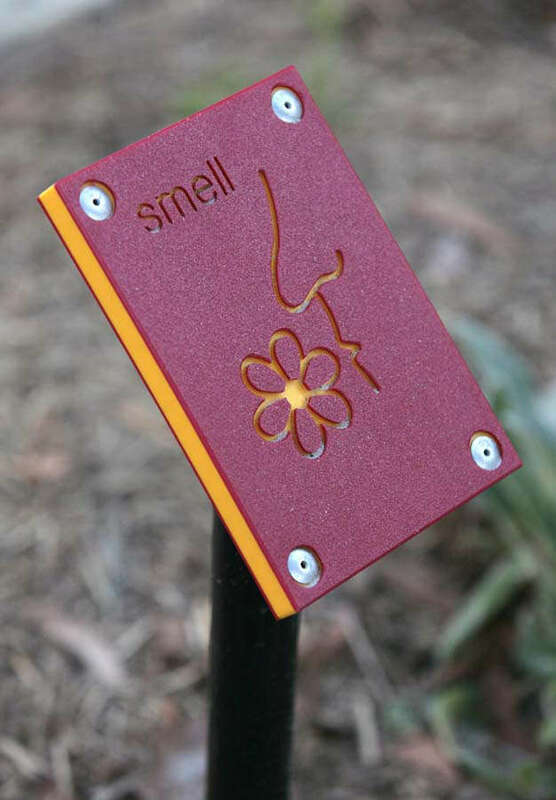 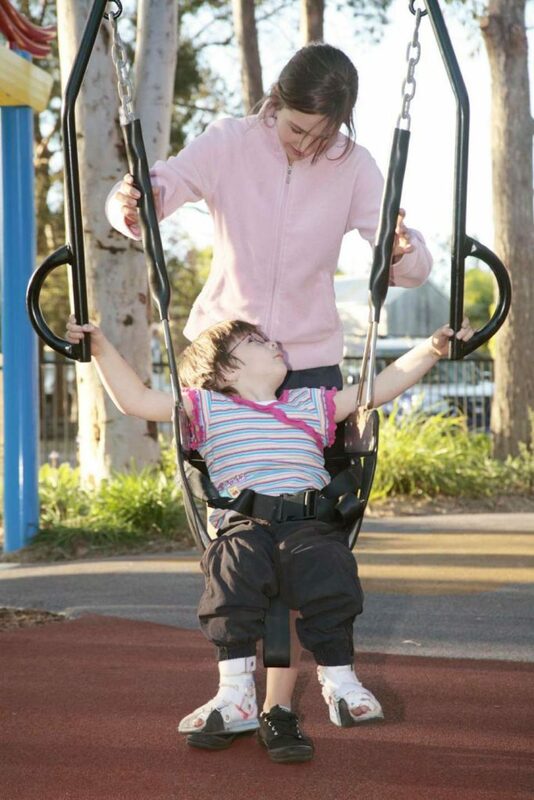 A range of design solutions were developed in response to stakeholder consultation including incorporating sensory gardens designed to stimulate the senses (touch and smell).Fencing was provided around the whole space to allow carers to relax, and the development and inclusion of equipment that provides greater support such as harnesses on the swings and flying fox.